Approximately 17 advocates, stakeholders, and City staff were present at the last BPIT meeting on October 1st in the Controller’s Office Conference Room in City Hall East. 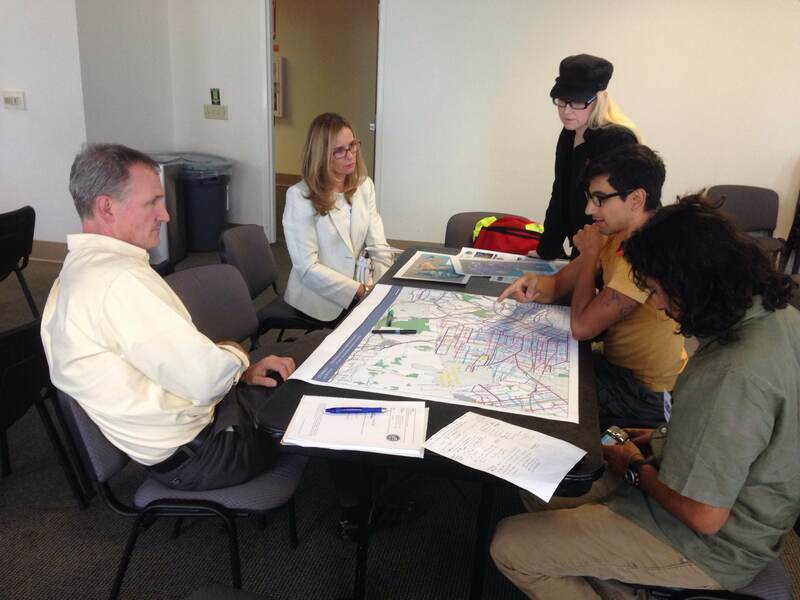 The workshop included discussion on the prioritization of the Neighborhood Streets Network as part of the new Mobility Plan 2035. Michelle Mowery from LADOT gave a brief implementation update announcing the successful installation of three miles of new buffered bicycle lanes on Colorado Boulevard. In addition to the ‘Dodgers Bus Lane’ along Sunset Boulevard, this is the first major project to be installed as part of the First Year of the Five Year Implementation Strategy (and recently joined by 7th St). The buffered bicycle lanes installed along Colorado Boulevard are a critical phase in completing the 2010 Bicycle Plan Backbone Bicycle Network in the Northeast Area. Building off of previous BPIT workshop activities related to neighborhood streets, David Somers, from Department of City Planning presented draft maps of priority backbone and neighborhood streets networks that are proposed to be included in Mobility Plan 2035. The five priority network maps represent five geographies of the City that include Central-East LA, South LA, West LA, the Valley and the Harbor. 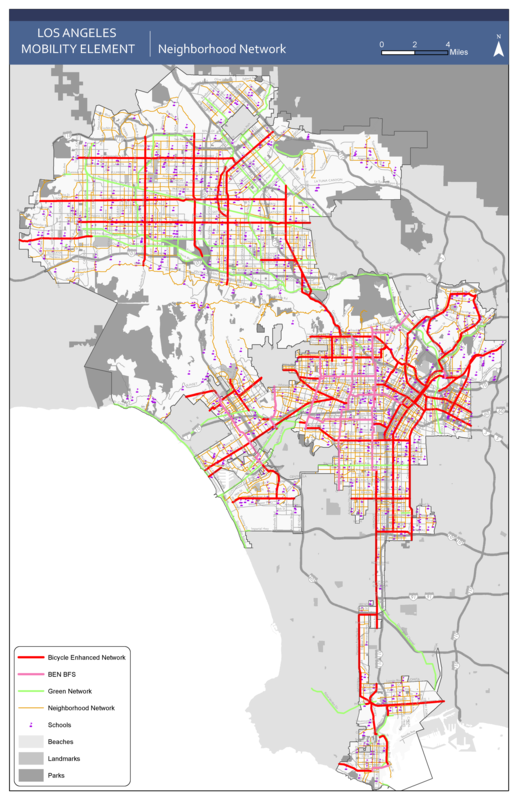 The intent of the maps is to highlight a subset of the Backbone and Neighborhood Networks that demonstrate high network connectivity, and to select those facilities to prioritize, in addition to the grading criteria, in the Bicycle Plan implementation process. 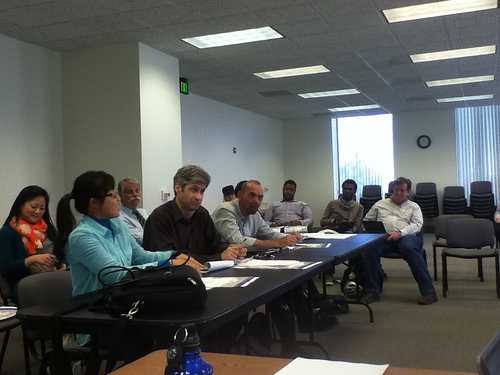 BPIT members asked questions after the presentation of the prioritized network maps. BPIT participants discussed the feasibility of some of the treatment design options, the importance of connecting to transit stations, if the priority network would present a disconnect between implemented facilities and what is used by bicycle riders, and if the Mobility Plan is the right planning level to select priority lanes given the fine grain details and neighborhood support needed to select the routes that should receive the neighborhood street treatments. Participants also expressed desire for a network performance metric for proposed or installed bicycle facilities. BPIT participants then divided and gathered around tables organized by the geographies, and added their feedback on priority network maps, adding notes of the constraints and opportunities presented by the specific neighborhood network corridors. 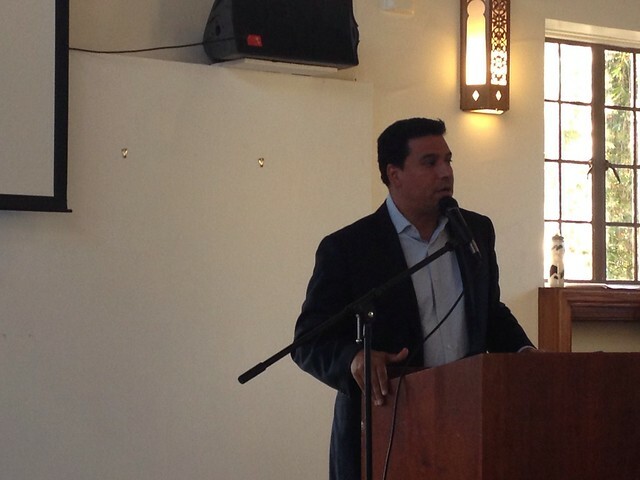 Eric Bruins from LACBC announced an upcoming Active Streets LA workshop on October 19th at Budlong Elementary School. 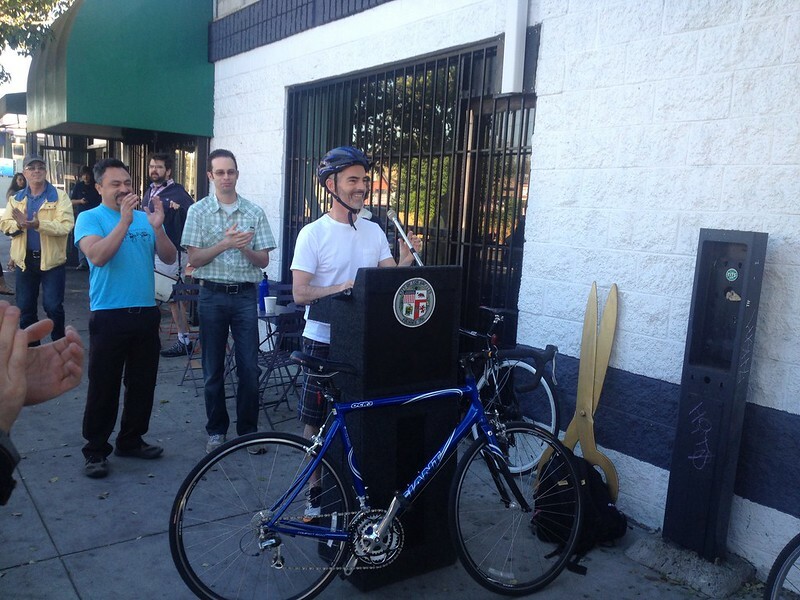 Active Streets LA is a partnership with LACBC, Trust South LA and LADOT, whose aim is to work with community members in South LA to create safe walking and bicycle routes along their neighborhood streets. 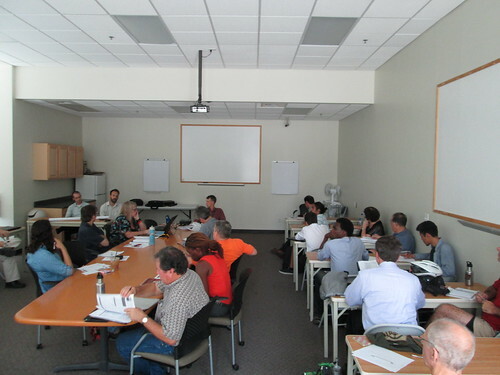 Approximately forty advocates, stakeholders, and City staff were present at the last BPIT meeting on July the 2nd in the California Bear Credit Union Community Room. The workshop included discussion on the Bicycle Plan program prioritization and Bicycle Friendly Street (BFS) implementation. BPIT Neighborhood Network Planning Exercise–July 2nd! 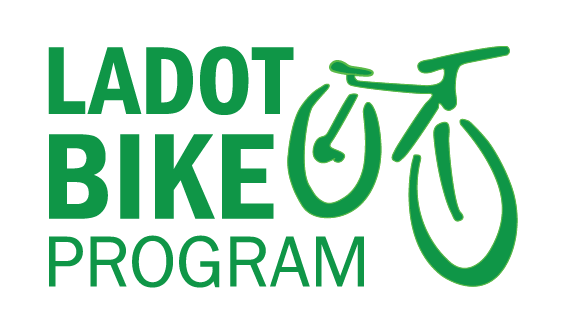 The Bicycle Plan Implementation Team (BPIT) will be meeting tomorrow, Tuesday, July 2nd at 1 PM in the California Bear Credit Union Community Room. Get ready for a fun and engaging workshop activity where we will be continuing our discussion on Bicycle Plan program prioritization and Bicycle Friendly Street (BFS) implementation. The BFS planning activity will be comprised of two step. First is to indicate on the map priority neighborhood network, based on some of the criteria discussed in our past meetings. The priority network should create a direct, low-stress access to local services as well as the greater backbone bicycle network. The base maps include the complete Bicycle Plan neighborhood network, the proposed Bicycle Enhanced Network (BEN), and neighborhood destinations such as parks and schools. Base maps representing specific geographies are available in order to help focus on your geographic area of interest. Just select and print one or several of the following to prepare for the exercise: Valley, West, Central-East, Harbor and SouthLA. Buffered bike lanes and pedestrian improvements approved for Colorado Blvd. 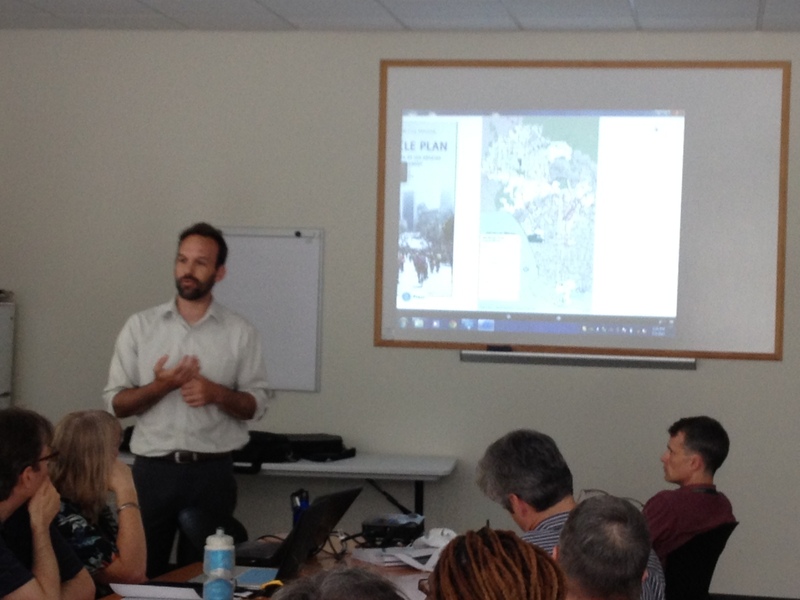 The Bicycle Plan Implementation Team convened at City Hall for the second quarterly meeting of 2013. Twenty-seven advocates, stakeholders, and City staff were present at the last BPIT meeting on April the 2nd. Discussion topics included the update to the General Plan’s Mobility Element, recently implemented bikeways, prioritizing plan programs, and Bicycle Friendly Streets.